Finance research has shaped the modern financial system, influencing investors and market participants directly through research findings and indirectly through teaching and training programmes. Climate change presents major risks to the global financial system as well as new opportunities for investors. 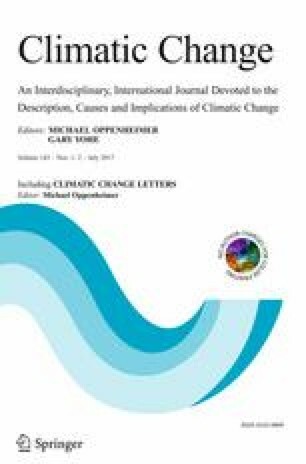 Is climate finance an important topic in finance research? We systematically analyse the content of 20,725 articles published in the leading 21 finance journals between January 1998 and June 2015. We find that only 12 articles (0.06%) are related in some way to climate finance. The three elite finance journals (Journal of Finance, Journal of Financial Economics and Review of Financial Studies) did not publish a single article related to climate finance over the 17.5-year period. We repeat our analysis across a sample of 29 elite business journals spanning accounting, economics, management, marketing and operations research, as well as finance. We find a similar dearth of published climate finance research. We consider four possible explanations for this failure of top finance and business journals to engage with climate finance as a research topic. These include methodological constraints and editorial policies. We conclude by arguing why it is critical for climate-related research to be given greater attention and prominence in finance journals. IDR acknowledges University of Otago research leave funding which made this research possible. CW and BR acknowledge the support of the Tyndall Centre for Climate Change Research. Useful suggestions were received during a related presentation by IDR at the Smith School of Enterprise and the Environment, University of Oxford (June 2016).